Earth moving projects such as road building, quarrying, ground works, drainage works, bulk earthmoving, landfilling and deep land drainage. Plant hire ranging from mini diggers to 360° excavators up to 52 tonnes and 25 tonne 6×6 dump trucks. Demolition including recycling, on-site crushing, asbestos disposal, site management and quarry works. All-weather arenas with bespoke drainage and a range of surfaces including sand and rubber. Lake design and construction with our own unique concrete weir system. Forestry works including land preparation, furrowing, brash raking and scrub cutting. Agricultural services such as crop growing, lime spreading, sea sand spreading, planting and harvesting. Grain drying, storage facilities and haulage – 15000 tonne GTAS approved flat store. 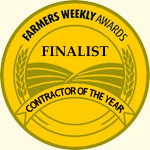 We listen to our customers and know that they have very demanding work schedules and tight deadlines. You can depend on us to supply clean, reliable machinery with experienced, professional operators, all delivered on time and ready to work. All our operators are CPCS/CITB qualified and we hold all necessary environmental, transfer and disposal licences – click here for details. Please contact us to discuss your requirements or arrange a free, no obligation quotation. 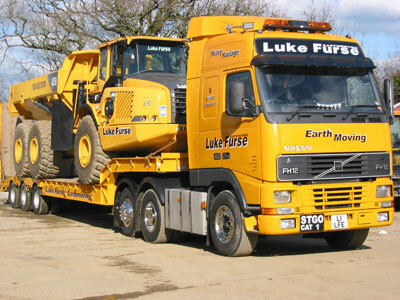 You can also read about Luke Furse Earthmoving's sponsorship of local events and sporting enterprise plus a short history of the company. Extremely pleased with the work carried out and very impressed with your friendly and professional staff. We will definitely consider using your services again. If you ever wish a reference on the competence, fairness, ease with which your company works, trustworthiness and sticking to quotes I would be most happy to do so.